Sending You A Happy Hello! 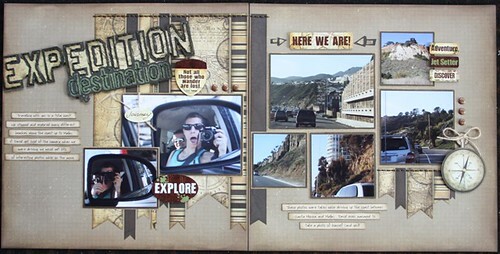 On Friday, Two Scrapbook Friends launched their National Scrapbook Day online crop. Each member of the design team, plus Joanne and myself, issued a challenge and participants have the week to play along and a chance to win some prizes. My challenge was paper piecing. I love this technique and thought it would make a great challenge for my online friends. Here is the card that I made for my challenge. I used a stamp set to do my pieced design. All you do is stamp the image on your background and then select the sections that you want to piece together on top of the stamped image. Re-stamp those in the colours you like and then cut them out. I pieced the 'leaves' of the trees and this adorable bird. 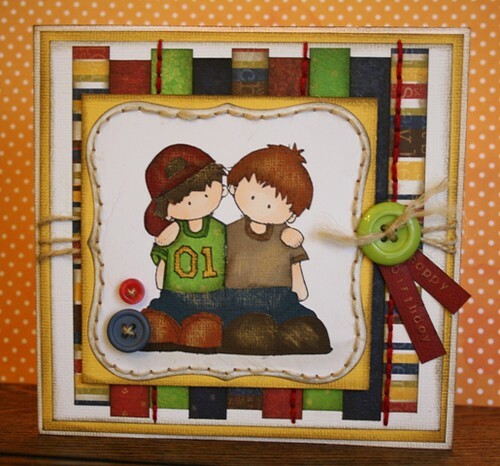 Visit the Two Scrapbook Friends forum for more details on the online crop! I hope you find some time to play along. Cutting Cafe Blog Hop Winner! I have done the random draw for the winner of this awesome cutting file! And the lucky winner is............AVRIL!!!!!! Congratulations! I will send that file to you right away! 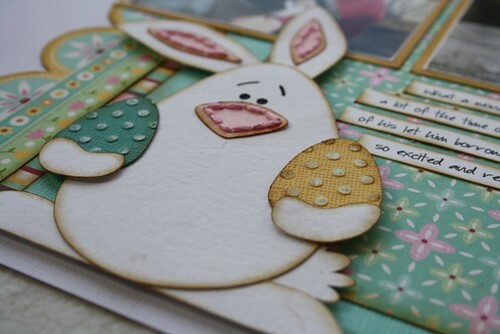 The Cutting Cafe Blog Hop & Giveaway! 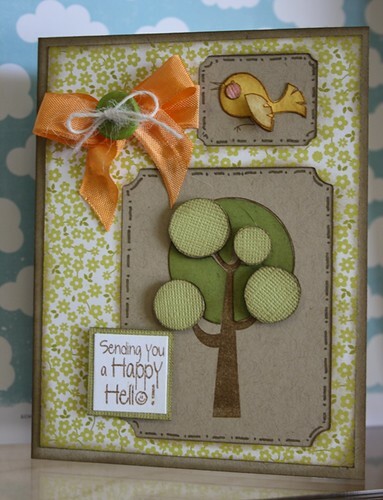 Welcome to The Cutting Cafe blog hop! If you are following along, you should have arrived here from Leah Schaeffer's blog. If you have just happened upon this, you will want to start at the beginning (click here). 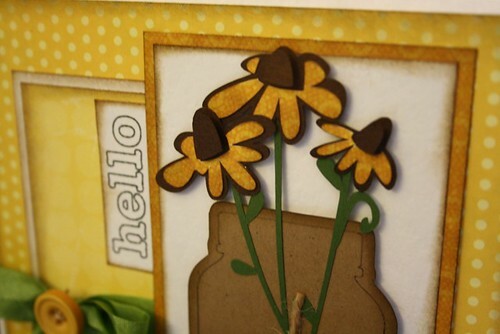 I used a great set called the Flower Pot Shaped Card! With Mother's Day coming up, I thought it would be a perfect card. 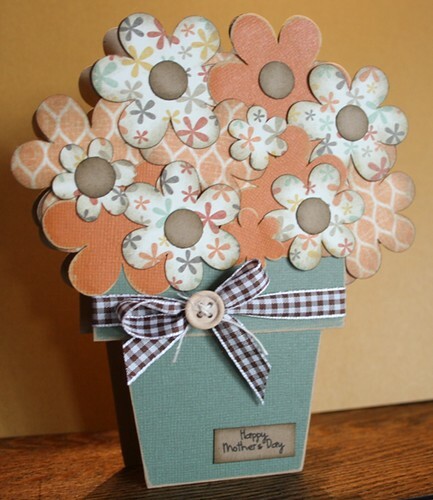 I used the Prairie Hill collection from Pink Paislee and some Kraft Core cardstock to create my pot and flowers. 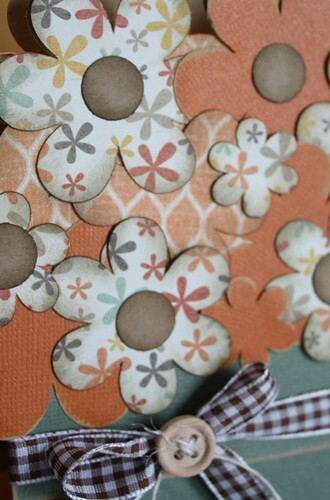 I added a kraft cardstock centre to a few of the blooms and inked the edges with Walnut Distress ink. I sanded the edges of the orange flowers and the pot to expose the kraft interior. I printed the sentiment on kraft cardstock and added it to the bottom of the pot. 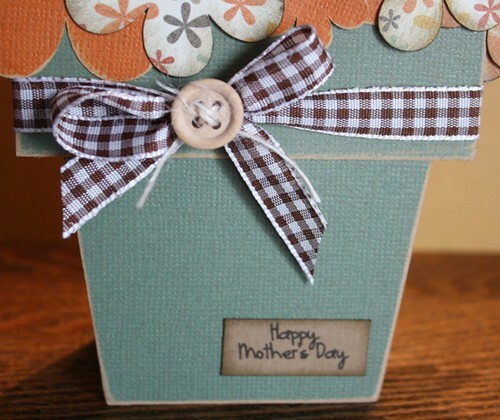 Leave a comment on my blog and you will have a chance to win the Flower Pot Shaped Card & Sentiment set. I will make the draw and announce the winner on Saturday morning. From here you will be visiting the very talented Jessica Esch! Make sure you visit all the blogs on the hop because everyone is giving a set away! Wow, it feels like forever since I have created a layout. I couldn't wait to dig in to this new product from Pink Paislee. I love the combination of orange and teal. 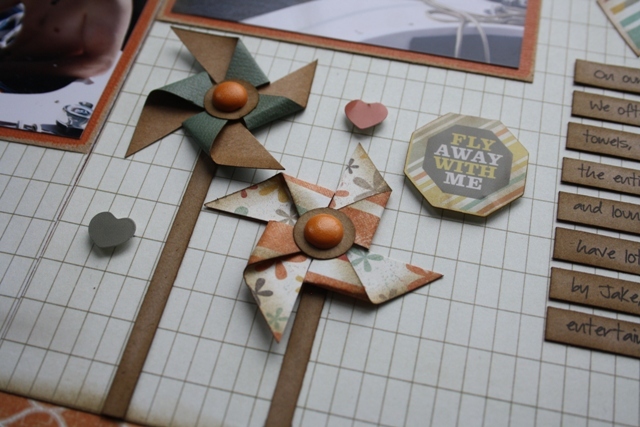 My main design element is pinwheels! 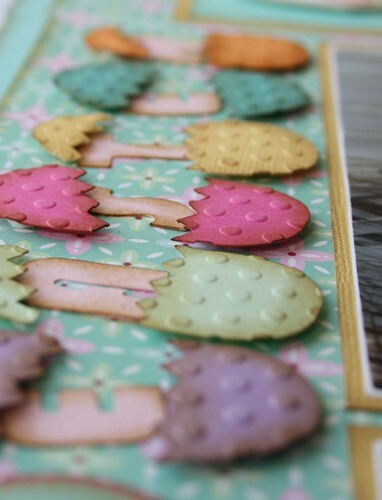 These are so easy to make and they worked great with my summer theme. I added a kraft coloured centre and an orange brad to give some dimension. I used my Silhouette for my title (which I also love). I used foam adhesive to pop it up and I stitched the #1 to give it a bit more character. I used one of the background papers (with the diamond pattern) and I cut it up to create pieces for my background. I added a bit of stitching to highlight it as well. 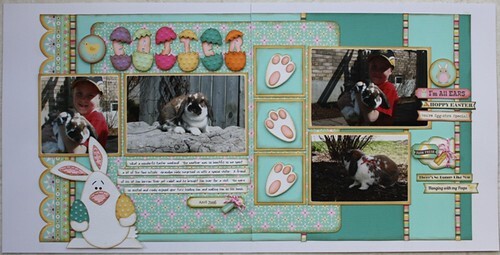 This layout will be featured as a workshop at Two Scrapbook Friends so you will have a chance to add this to your albums too. I have really been enjoying making cards lately and today, I have another one to show you. 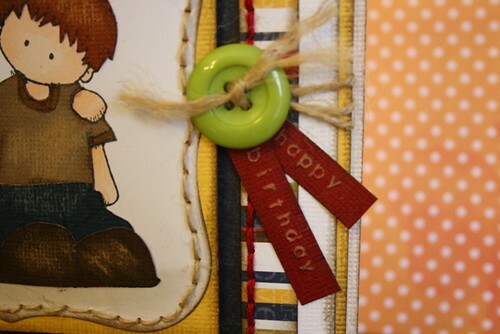 I love to paper piece stamped images and that is exactly what I did to create this birthday card. 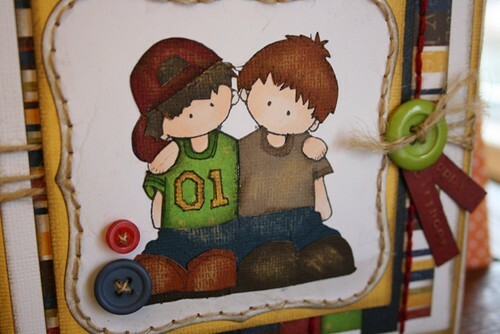 First I stamped the image (a Whipper Snapper stamp) on my white background and coloured in the faces with Copic markers. Then I stamped the image multiple times, on all the different colours I would be using to piece my image together. 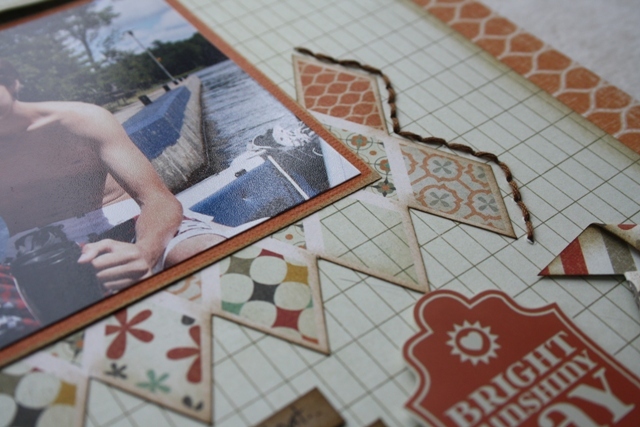 From there, you just hand cut out each piece and layer it on top of the stamped image on the white. I also used my new Dymo label maker and the new Kraft Core cardstock (we are now carrying this at the store) to create the sentiment for my card. 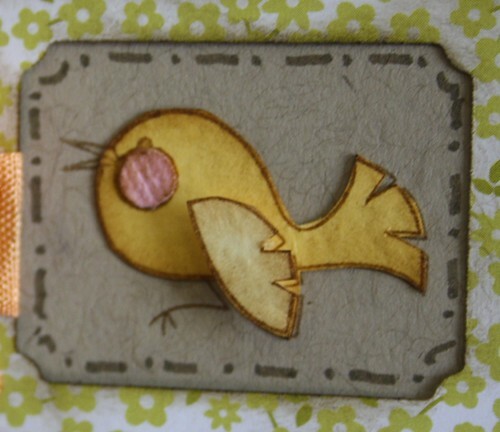 I stitched with some twine and some floss and inked my card with Walnut Distress Ink. I am an avid reader.......I read every day. No matter how busy my life gets, I end my day reading. This was not always the case. I thank my friends for making me curious enough to make this one of the best parts of my day. 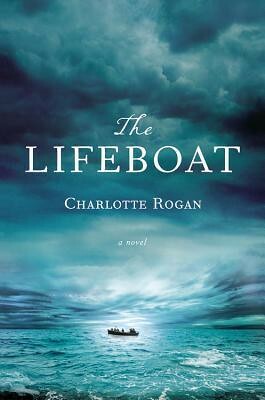 I recently read a review on a new book called The Lifeboat. It sounds quite intriguing so I thought I would share it on my blog. 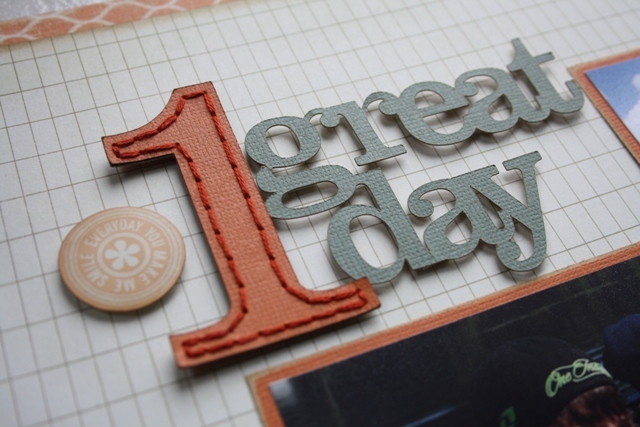 Today is going to be a crazy busy day.....it is set up day for Scrapfest. I thought I would start the day with something fun from The Cutting Cafe. 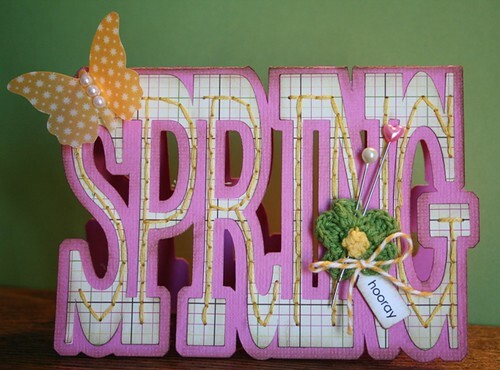 I just LOVE their word cards and this week I played with the Spring file. Here is the card that I made using this awesome set! The fact that it cuts out in the shape of a word is amazing in itself.....but I love how you can still embellish it to make it special. I dug into my stash to see what I had that I could add to my card. 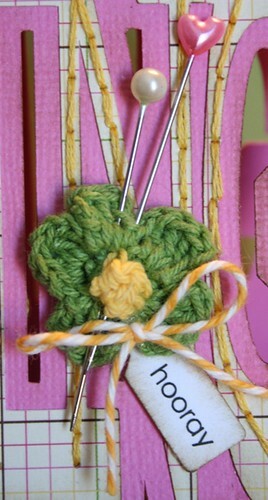 I found this little crochet flower (no, I didn't make it) and some decorative pins. 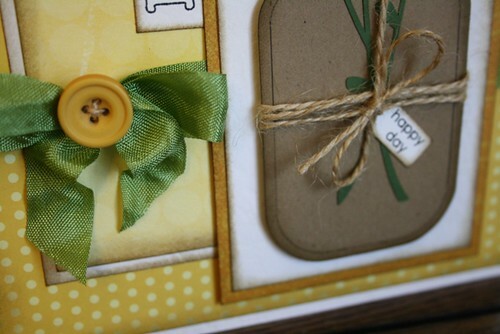 I added a little piece of yellow bakers twine and one of my favourite little tags using the Mini Words printable. 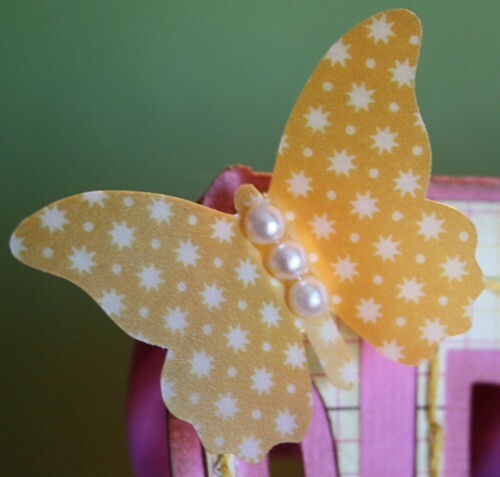 I also found this little vellum butterfly from Jenni Bowlin. 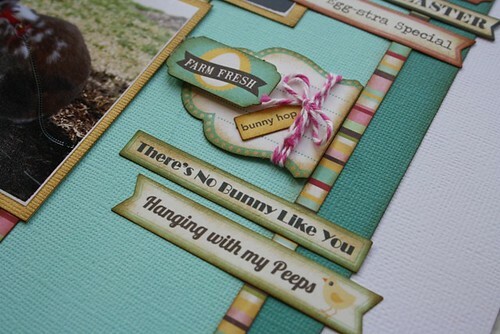 I love the little pearls for the body and I thought it would work perfectly for a Spring card. I knew it wouldn't be complete without adding some stitching. I used a fine needle and some embroidery floss and stitched down the centre of all the letters. 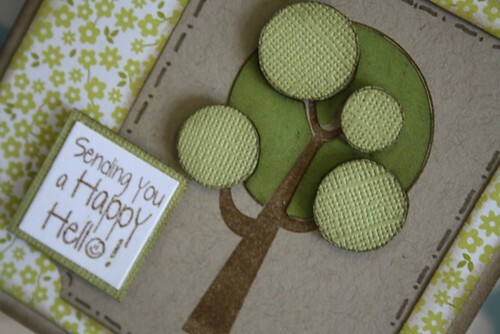 I hope you will visit The Cutting Cafe blog and check out what the other girls created using the different word cards. Good morning! Easter has come and gone and I hope that you had a wonderful weekend with your family and friends. I created a layout celebrating an Easter weekend back in 2006. My father-in-law surprised all the grandchildren by bringing a 'real' Easter bunny to visit. This layout was inspired by a sketch designed by Allison Davis. This is my first layout using my new Silhouette. I had so much fun creating the embellishments. Look at this adorable rabbit!!! I embossed and then sanded the eggs and I added stitching to the nose and ears. I used the new Chicken Dumpling Soup from Jillibean. Their stickers, papers and embellishments are amazing. I added a little bit of Doodlebug bakers twine and popped up some of my stickers for dimension. The title is another cut using my Silhouette. I embossed the eggs and popped them up to add some interest. I will definitely use this file again. 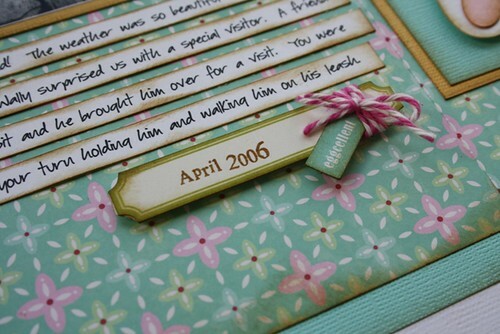 I made sure to add my journaling using my favourite font (Baby Boston) and stamped the date using a set from Close to my Heart. 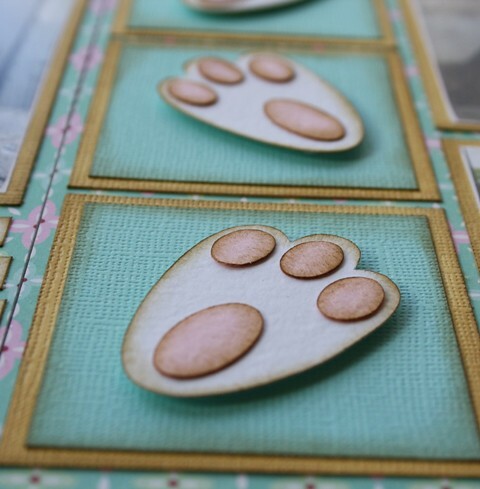 The third file I used from Silhouette are these little bunny paws. 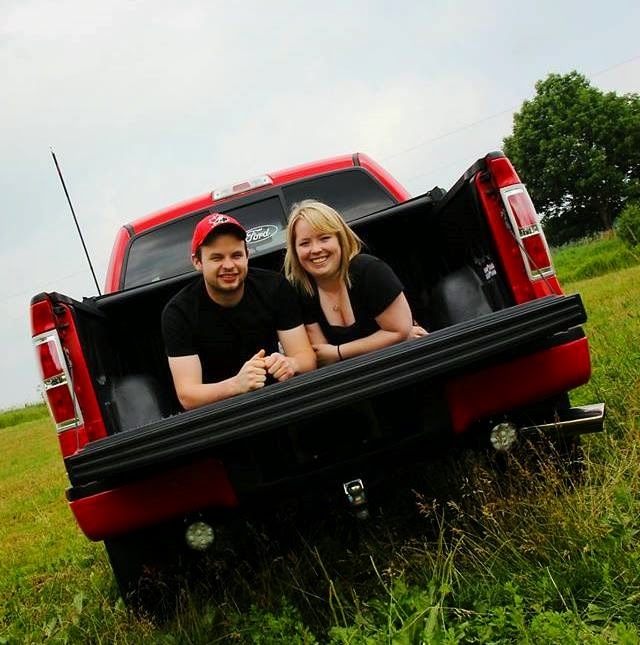 How cute are they? I added ink to all my papers and die-cuts to soften them and blend everything together. For the first time ever, I am going to try focusing on starting and finishing a complete album. 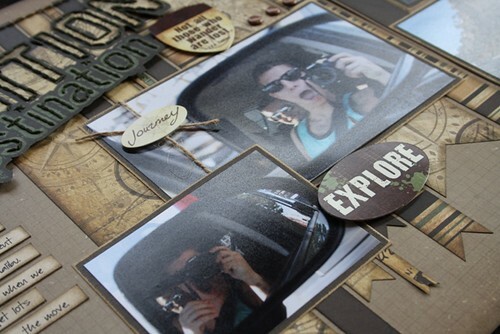 I really want to scrapbook the trip that I went on with Jason and David. This is something that I will remember and cherish forever. The book I am making is for Jason, so that he will have a keepsake for his very first trip that he saved and paid for himself. 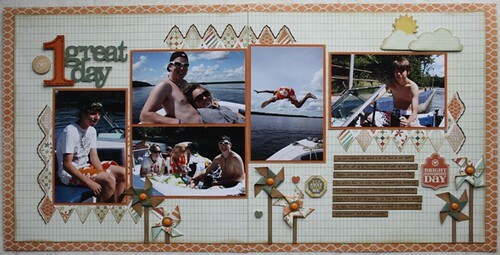 This layout was inspired by a sketch from Sketch Support that was created by Allison Davis. 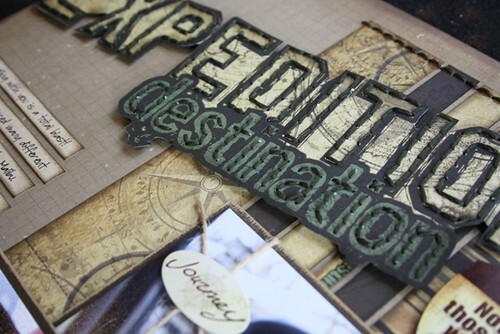 I used a new collection from Reminisce called Expedition Destination. It is a perfect travel themed line that will work for any trip or destination. The title was cut out from one of the papers and then I added stitching to make it really pop! Pennants are really popular on layouts and cards so I carried that theme on to my second page, adding a bit of stitching for some dimension. 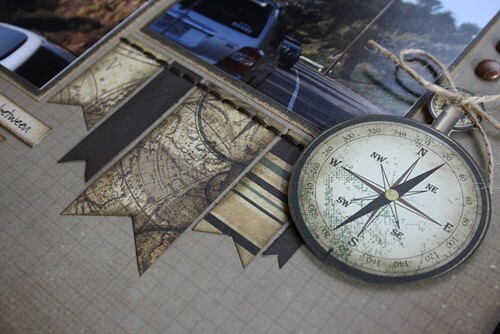 I also cut out this compass from the papers and embellished it with some heavy twine. My photos were taken while we were driving in the car. The trip up the coast is very scenic, especially as you approach Malibu. David had the camera and was snapping photos along the way. He even managed to get photos of himself and Jason in the side mirror of the car. I couldn't resist added these to the page. Keep checking back to see more layouts and photos from this awesome trip! Happy Wednesday friends! 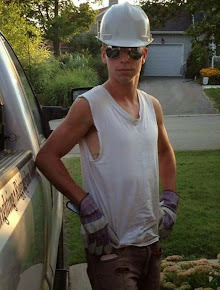 It is a short work week for everyone so that means only 2 more days to a long weekend. This makes me very happy. I think my mood was reflected when I was making my project this week for The Cutting Cafe! This week we used an amazing set called Jar Shaped Cards. There is a plain mason jar, a candy jar and a cookie jar, as well as fillers for the jars and 41 printable sentiments!!!!! It is awesome. 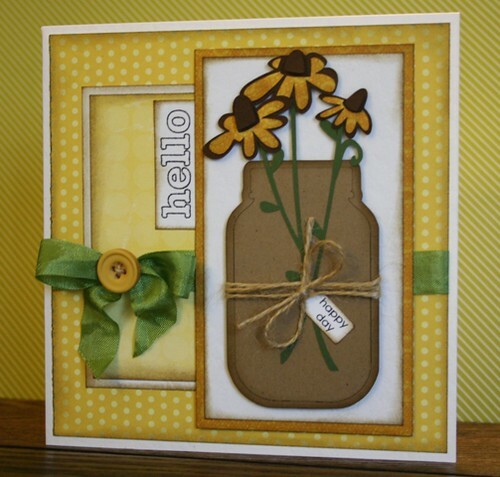 I decided to make a card using the mason jar.....but not a shaped card. I used the jar as a flower jar instead. I really wanted to try to import this file to my Silhouette and use the print and cut option. I found a great tutorial on YouTube (click here) that walked me through it step by step. I wasn't successful the first couple of times, but eventually I did get it right. I just love this little jar and I know that I will be using it over and over again. While I was on the Silhouette, I found this amazing file for these black-eyed susans. I downloaded that and cut it out to fill my jar. I added some heavy twine, ribbon and a stamped sentiment to finish it off. 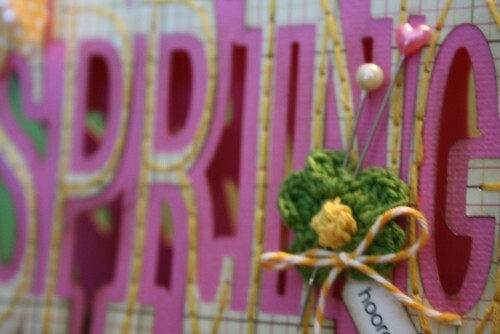 The little tag that is hanging from the twine is also a printable set from The Cutting Cafe. It is called Everyday Mini Words. I love these little phrases and I used my little tag punch to cut it out. Make sure you visit The Cutting Cafe's blog and see what the other members of the team have created. The post will go up sometime today.